For the first time ever, Dolly Parton and Dollywood host Hallmark Channel’s Daytime Emmy nominated series Home & Family. 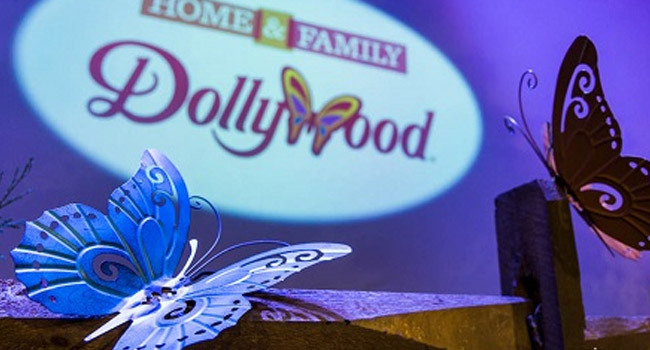 Tune in the week of May 30th to enjoy this exciting week of shows, Home & Family: The Ultimate Dollywood Experience. The fourth season of Home & Family features not only the best in lifestyle advice, but also plays host to some of Hollywood’s biggest stars and most exciting music acts. Recent guests that have visited include Dolly Parton, Geena Davis, Kathy Bates, Mira Sorvino, John Rhys-Davies, Joseph Fiennes, Kate Bosworth, Naomi Judd, Wolfgang Puck, Tony Robbins, Melissa Ethridge, Fran Drescher, Hayden Christensen, Betty White, Olivia Newton-John, La Toya Jackson and James Brolin. The series reaches viewers’ homes from its own 2,800 square foot working home at Universal Studios. Woody Fraser is the creator of Home & Family. Marty Tenney and Tracy Verna Soiseth are executive producers. Rob George and William O’Hara are directors of Home & Family from Woody Fraser Enterprises. Home & Family is broadcast in 1080i, Hallmark Channel’s selected HD Format. This program carries a TV-G parental guideline. On June 3rd, Parton will launch her Pure & Simple Tour, her largest North American tour in more than 25 years. Many shows have limited tickets available and additional dates have been added through November. Tickets and VIP packages are available through Parton’s website. This Christmas, she’ll executive producing Dolly Parton’s Christmas of Many Colors: Circle of Love, a sequel to last year’s Dolly Parton’s Coat Of Many Colors that broke television records for NBC.